Event marketing is a big way to engage with your target market in today’s world. The most impressive and memorable events involve interactive elements to really capture the attention and imagination of potential customers and clients. But how do you create an unforgettable experience that will resonate with attendees? Here are a few of our favorite interactive event ideas. 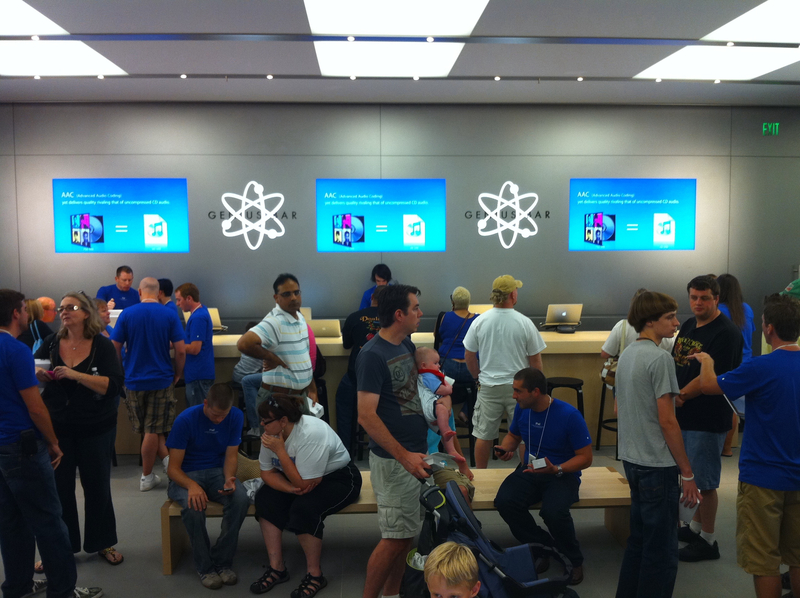 You may be familiar with the Genius Bar at Apple Stores. It’s the brand’s version of tech support but carried out as a one-on-one consultation. The popular feature offers customers repairs, advice, and answers from knowledgeable experts. This is an excellent technique to replicate at your industry events. Set up an area for attendees to have one-on-one time with your qualified experts. This type of interaction is extremely valuable to consumers and clients because it allows them access to professional advice. It also allows your experts to form a personal bond with attendees, and build an ongoing business relationship. The Netflix Altered Carbon booth at CES. Payless’s Palessi luxury shoe store marketing prank. Carlsberg’s beer poster. The Oscar Meyer Weinermobile. What do all of these have in common? They’re all excellent examples of brand activations. But what does that even mean? Simply put, a brand activation is any experiential campaign designed to increase awareness of and engagement with your brand. They can be as simple as offering samples directly to your target market. Or they can be as complex as the Bates Motel at SXSW. But the most important things are that you get attention to your brand. But the most important thing to remember is that a prank, stunt, or booth can’t stand alone. To make the most of your newly generated buzz, you should incorporate a social media campaign and engage the press with a PR strategy. Speaking of social media, one of the most common ways to get your visitors to share your brand online is the brand photo booth. These allow your attendees to share selfies on Instagram, Snapchat, and other apps with ease. And since you can include brand elements in the picture, it means your brand will be splashed across each of these platforms. So you create a really fabulous photo backdrop or hire and brand a digital photo booth. How to best leverage these photo ops for your event? First, be sure to create and widely publish a hashtag. Then, be sure to include a social media display in your booth. This way all the photos shared with your hashtag will show during the event. It’s a great way to prompt attendees to take part! If you’ve attended any sort of convention or networking event, you probably saw people handing out all sorts of goods from pens and coffee mugs to t-shirts and thumb drives. But in reality, a good bit of that event swag ends up in the trash. How do you create swag that people want to keep? Skip the standard giveaways and look for options that are unique to each attendee. Try hiring a caricature artist to create portraits of attendees. Or create a personalized thumb drive containing information, songs, or other data chosen by the user. Or choose options that are unique to your brand. Instead of ordering out of the same catalog that a dozen of your competitors are using, create something unique. Make sure it ties in to your brand for an impression that lasts longer than your logo stitched onto a ballcap. Create a digital experience with your brand that customers won’t soon forget. The use of virtual reality (VR) means attendees can interact with your brand beyond the physical limitations of your booth. Create a virtual reality demo of your product and its uses. Let them take a VR tour of your company headquarters or production facility. Augmented reality, on the other hand, brings digital elements into the physical space of your booth. The Snapchat lenses that allow users to add puppy ears or goofy effects to their faces are an excellent example. Pfizer Faucets used this technology to great effect at a show in 2017. No matter which of these ideas you decide to implement, be sure to make it memorable to your product or service. They coolest photo ops or VR games won’t help if they have little connection to your brand. You want to create a memorable experience that attendees will associate with your brand in a positive way.